The last time we were in Napa Valley, I drove by Thomas Keller's Bouchon Bakery and I couldn't believe the line outside the door. But that makes sense because anything that Thomas Keller does is going to be wildly popular. Thomas Keller loves to put his own modern spin on old cookie classics, like the Oreo cookie and this one - the Nutter Butter. For cookie dough: Preheat oven to 350 degrees. In a bowl, mix together the flour, baking powder and baking soda; set aside. Using a mixer with a paddle attachment, cream together the butter and peanut butter. Add sugars and beat at medium speed for 4 minutes, scraping down bowl twice. At low speed, add eggs and vanilla. Add flour mixture and beat at low speed until well mixed, frequently scraping down bowl. Add peanuts and oats, and mix well. Using an ice cream scoop 2 inches in diameter, place balls of dough on parchment lined baking sheets at least three inches apart. Bake until cookies have spread and turned very light golden brown, about 10 minutes. Remove from oven and set aside to cool and firm up, 5 to 10 minutes. Transfer to a rack to cool completely before filling. For filling: using an electric mixer, cream together the butter, peanut butter and confectioners' sugar until very smooth. 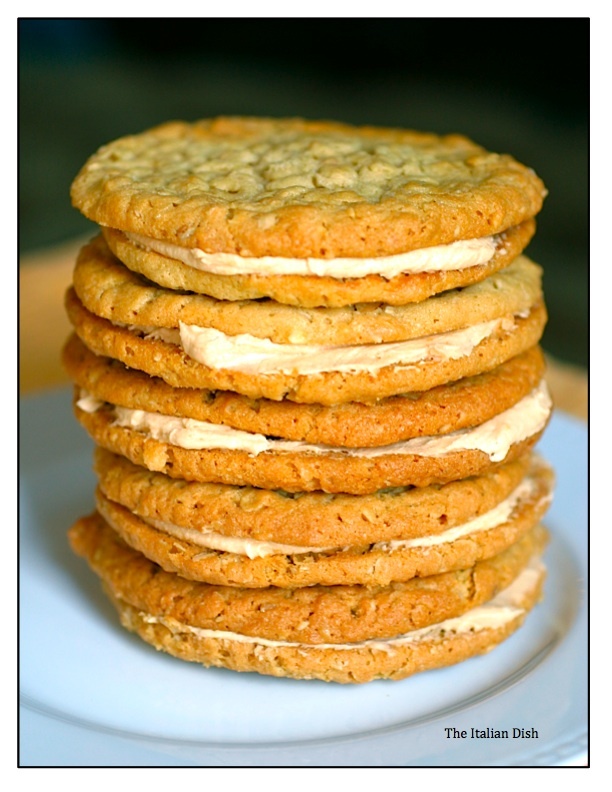 To assemble cookies, spread a thin layer (about 1/8 inch) on underside of a cookie. Sandwich with another cookie. Repeat. 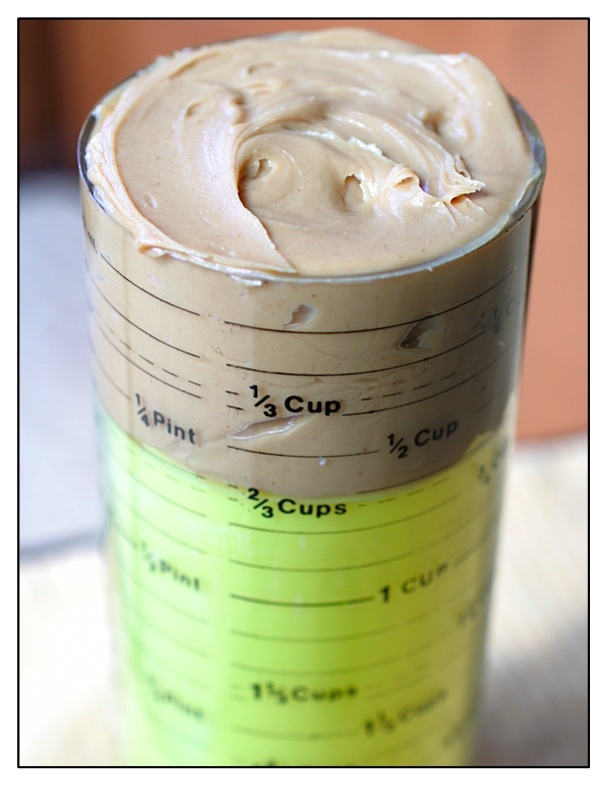 tip: Measuring peanut butter in a regular measuring cup can be difficult, messy and not very accurate. To make the job easier, purchase one of these Wonder Plunger measuring cups that are designed for difficult to measure ingredients, like honey or molasses. When you push up the bottom of the cup, the peanut butter comes right out, cleanly and accurately. 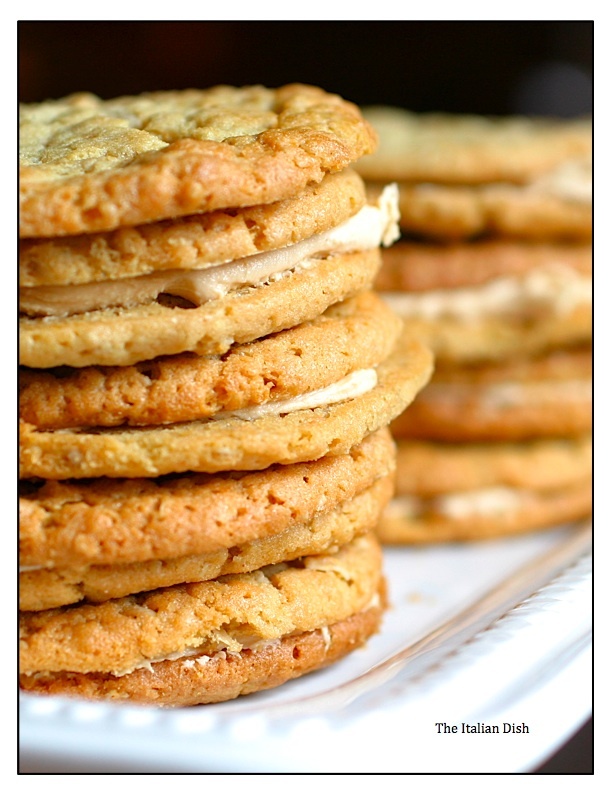 I have a really similar cookie on my blog- I LOVE nutter butters. These ones look amazing, I'm going to try them! Four, count them, four sticks of butter!! Better recount...there are 5 sticks of butter!! I'm trying to lose weight, but I'm bookmarking these. Oh, to have one right this minute! These sound and look delicious. I'm really into cookies at the moment. I think these will be my next venture, thank you! I love Bouchon and I love these cookies. Great photos, too! p.s. I need to get one of those WONDER PLUNGER things... what a fabulous invention! Do we know the calorie count of these? Oh hell, who cares!! Love that plunger thing! I adore Napa Valley AND the Bouchon Bakery. It's lunch! and forget calories. These are VERY good! I make them all the time. Can you use the natural peanut butter that is a little runny in this recipe? Anonymous: Yes, you sure can. This is my new favorite peanut butter cookie. I think the icing in the middle is a little OTT, but I love these just plain. I don't even add nuts, though sometimes I vary the peanut butter (creamy one batch, crunchy the next) to get the extra texture. Seriously, though, these cookies ROCK! And they're GINORMOUS -- scooping with the ice cream scooper means that about half of one cookie is enough for me, But they're pure perfection for your palate...you've gotta try these folks!